Posted On September 06, 2016 by Team iCynosure. Time passes in a jiffy. But a single look at the priceless piece makes memories appear like a yesterday affair. And why not? After all, it is not just your wedding ring, it is all those moments, coy smiles, dreamy eyes, hesitant glances and naughty tantrums are all sealed in that precious rock; it is an eternal bond. It is a time machine that transports you to the past so that you relive those vows time and again. No wonder, your wedding ring is a treasure that deserves your care and attention. So keep the sheen of the rock intact with these simple and easy steps. Just like your relationship, the diamond rings also demand some moments of gentle care to keep it shimmering forever. Give your rock the same love and affection you give your rock star. Put your precious jewellery in a degreasing solution almost every week to remove oil and dirt from the piece. Make this a practice as the secret to the long-lasting glitter lies in the regular care of the jewel. The way an argument with your partner may turn into a heated altercation if not handled properly, diamond rings have the tendency to lose its gleam if not well cared for. So instead of using a harsh scrubbing brush, use a soft, lint-free cloth. It’s all about how you treat your relationship with your beloved diamond rings. The softer the touch, the brighter the spark. Akin to your relationship, your diamond jewellery is precious too. Both call for tender treatment and need to be handled with love. Just like you make your partner feel special with your attention, handle your diamonds with the same care. Remember, the shimmer of diamonds can get affected by the touch of your finger. So hold them delicately at the edges. What abusive words are to the relationship, harmful solutions are to diamonds. So the way you avoid harsh speech during a tiff with your partner, keep your favourite jewellery pieces away from abrasives and chlorine water. In order to keep your relationship with the diamonds last long, refrain from anything that can play a spoilsport. Scratches on diamonds are like heartbreaks in a relationship. The way you prioritize your relationship and give it a special place in your heart., you need to be true to your darling diamonds too. They are precious and need to be stored exclusively in a jewellery box meant just for them. Even after all the efforts, there may come a time when your relationship enters a rough patch (God forbid!). The same can happen with your diamond jewellery as the precious stones may come off the ornaments. Just like you fill the gaps in your relationship by taking the advice from your friends and counsellors, similarly, let your love for diamond rings and jewellery last forever with the help of professional experts. By tightening the loose ends, professional jewellers help lacklustre diamonds regain their lost gleam. 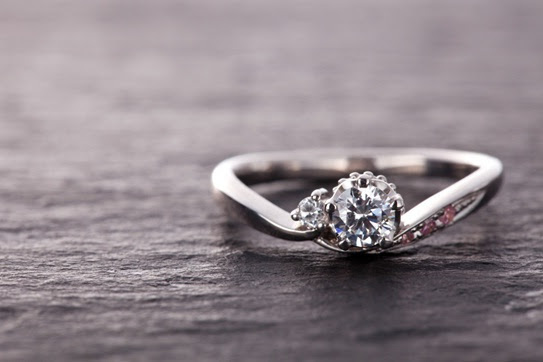 In fact, jewellery sites like CaratLane.com offer 100% certified diamond jewellery with lifetime exchange, so this is nothing much to worry about. The key to your long-lasting relationship with diamonds lies in their gentle care and love. You need not do anything extraordinary, but treat your diamonds as dearly as you treat your partner. In fact, we say, go ahead love your diamonds more than your beau and see him turn green with envy!